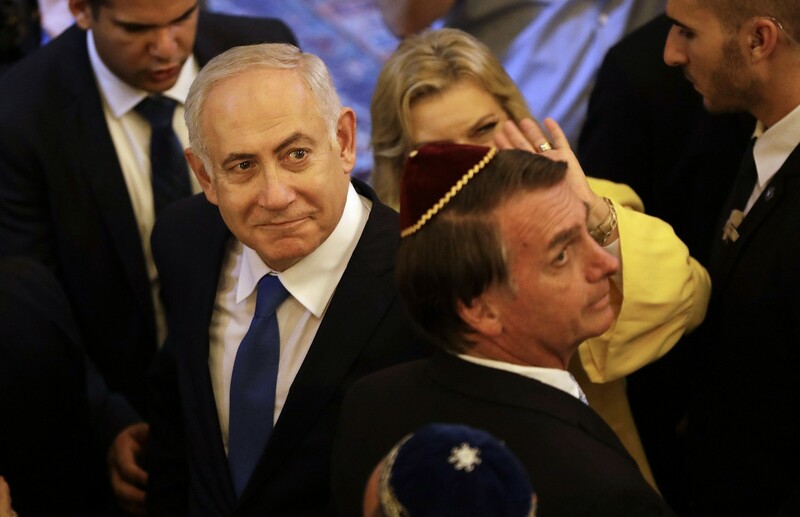 RIO DE JANEIRO (JTA) – Israeli Prime Minister Benjamin Netanyahu gained pop star status among Brazilians during a five-day visit to their country to attend the inauguration of the new president, Jair Bolsonaro. This entry was posted on January 3, 2019 at 9:42 AM and is filed under Uncategorized. You can subscribe via RSS 2.0 feed to this post's comments. You can skip to the end and leave a response. Pinging is currently not allowed.